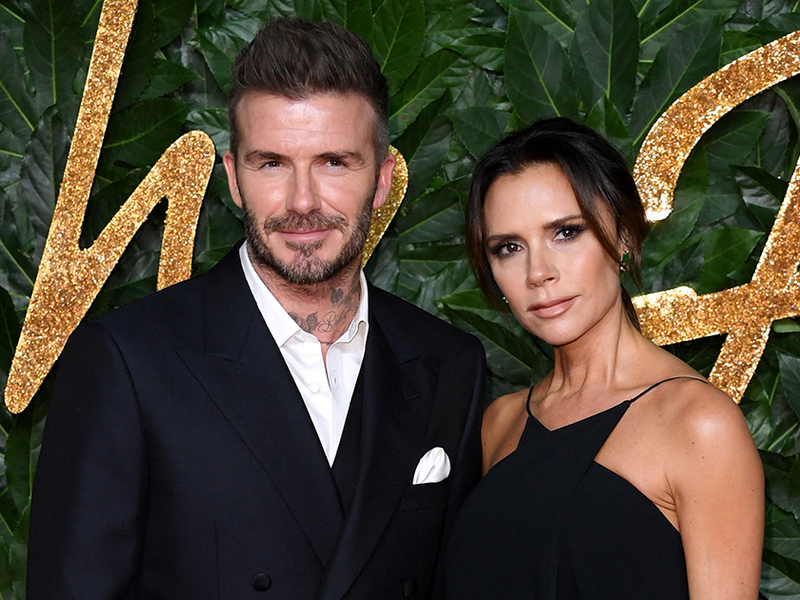 Victoria Beckham is currently in New York City with husband David celebrating her sportswear collaboration with Reebok. And ahead of the big launch party yesterday, the fashion designer gave fans a little glimpse of what she likes to dine on before a night out – and it’s slightly unusual. Taking to Instagram, mum-of-four Vic shared a photo of a plate full of smoked salmon and absolutely nothing else. 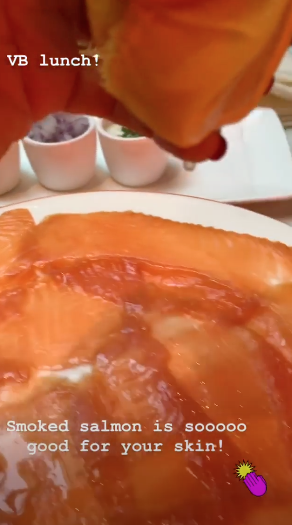 ‘Smoked salmon is sooo good for your skin!’ she wrote next to the video which sees her squeezing lemon over the pink fish. 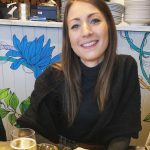 Vic, 44, has previously spoken out about her salmon-obsession, saying she used to have ‘really problematic skin’ until she started eating more of it. This comes after the star – who is mum to 19-year-old Brooklyn, Romeo, 16, Cruz, 13, and seven-year-old Harper – recently revealed another beauty ritual which keeps her looking young. And judging by Vic’s amazing complexion, it’s definitely working! Meanwhile, The former Spice Girl looked amazing as she was joined by hubby David, their eldest son Brooklyn and his new girlfriend Hana Cross. Donning a snakeskin print blouse paired with bright red trousers, Vic pulled back her hair in a sleek bun and kept her make-up lowkey. While former footballer David, 43, went for a casual white t-shirt, stonewash jeans and leather boots.